Extract the content of the archive file in your rFactor root folder. 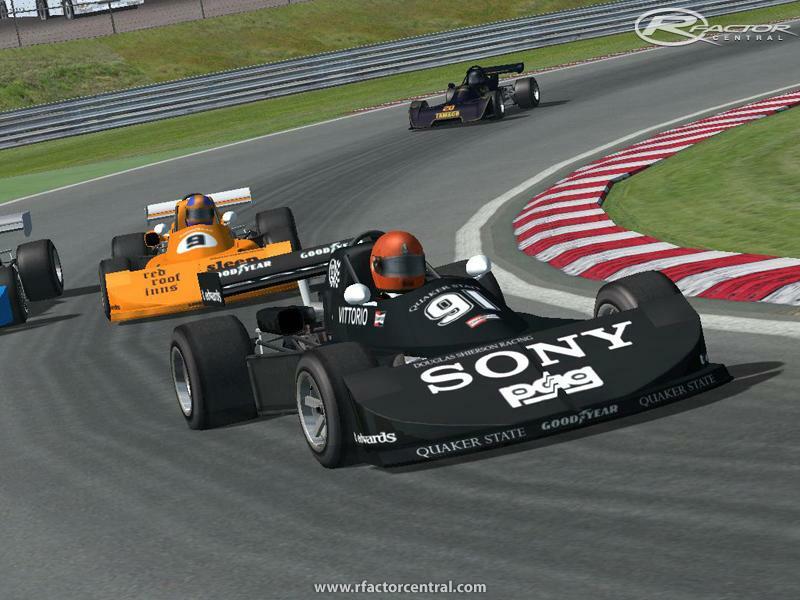 By 1976 the Formula Atlantic was a well established and world wide spread formula. The biggest championships were in the United States, Canada and United Kingdom, but smaller series also existed in South Africa, Ireland or Australia. 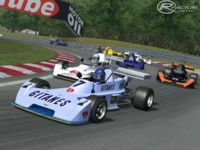 The mod contains cars mainly from the 1976 IMSA and CASC Formula Atlantic series (respectively the US and Canadian series). However several cars are from the British and South African series. 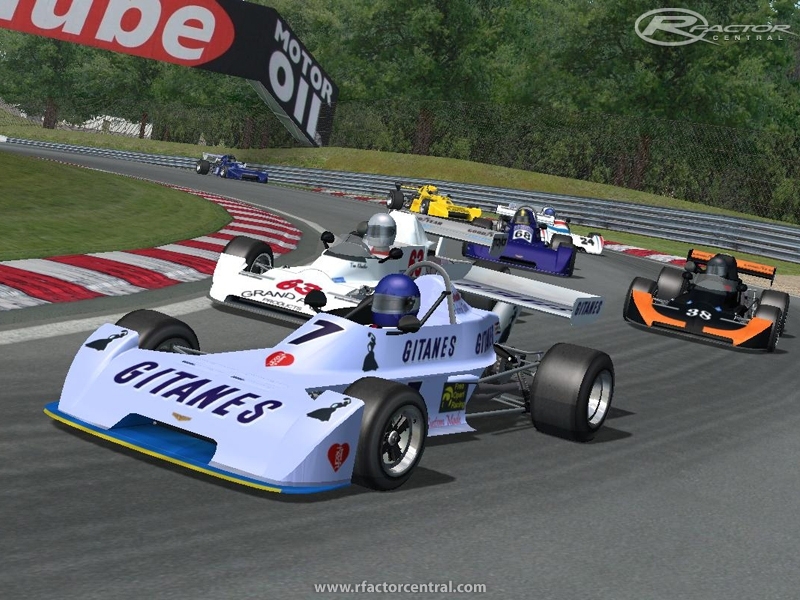 Many future F1 or Indycar stars drove in Formula Atlantic that year, such as Gilles Villeneuve, James Hunt, Bobby Rahal, Alan Jones, Patrick Tambay and many others. 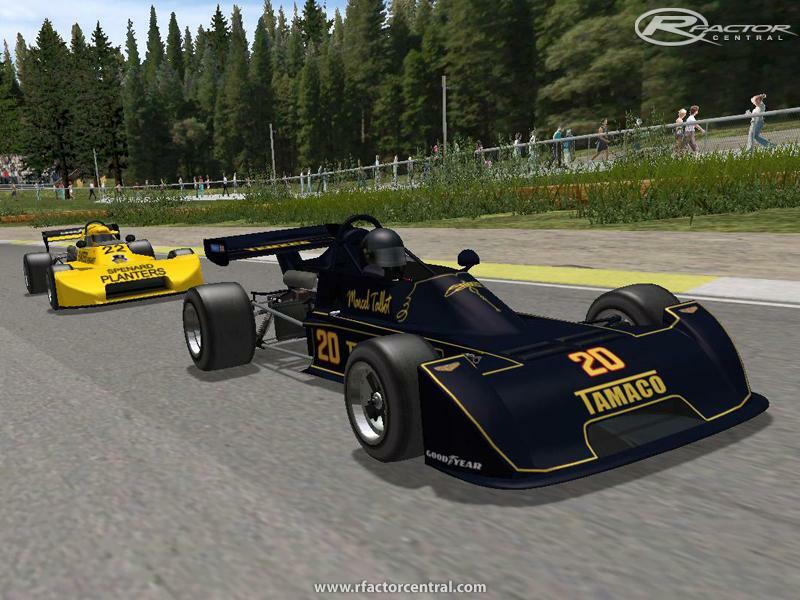 This mod is some sort of a big upgrade from the original Formula Atlantic mod from David Sabre. It comes with brand new physics for each chassis, lots of new historicaly accurate skins and graphic updates from David Sabre himself. The Formula Atlantic cars are lightweight single seaters, powered by 1600cc Ford BDA engines, developping between 190 and 210 horsepower. Indeed, many engine tuners had a go at tweaking this engine, with various results. With so little power and weight, a 10 HP difference can make a big difference, and the engine at the back of the car will be almost as important as the chassis itself. There are 6 different chassis in the mod. The fastest car is the March 76B, followed by the Chevron B35 and the Lola T450. 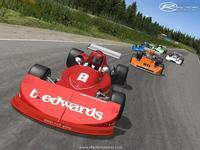 The Ralt RT1 and Boxer PRA76 are average cars, and the outdated March 75B is the slowest chassis of the mod. But all in all, cars performances remain pretty close, only a March 75B with a 190 HP engine will be really struggling to keep up with the rest of the pack. All cars are equiped with the same Goodyear tires, coming with 2 compounds, soft and hard. Soft tires should be good for 40-50 of racing but will suffer from heavy wear at that stage, while hard tires will have no problem with a 60-70 minutes race. 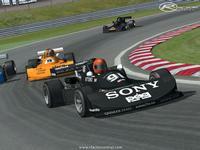 There are currently no setups for HSO 1976 Formula Atlantic. Add a Setup. Tried loading this mod over rFactor lite install, getting error loading texture 450a_win_s for material T450A_WINDOWS. Re-unzipped install file, same error. Any ideas? So funny, even if the .rfm has SafetyCar = Hammer_PC.veh, the PaceCar is a formula Atlantic ! BTW, in the 80s, I did a few seasons helping the driver of a March 74b that had been converted to Under 2 liter Can-Am. Superb mod ,great physics, especially the tyre model. love it. congrats! very nice and funny mod! is there a way for stronger steering forces? i tried the ingame settings with minimum assistence, but the difference between 1 an 3 is very little. force feedback setting is also set to 100 %. the realfeel to zero.